In previous blog posts we’ve mentioned the vast array of designs available to customers within our Flotex Vision range. Currently existing is an extensive library of over 500 Flotex design options, but on occasions where this is not enough, you can be the designer. Custom design is desired more and more by brands in all industries. As extraordinary branding is in high demand now more than ever, it’s only natural for our customers to want their projects to truly stand out and you can make this happen with Flotex. 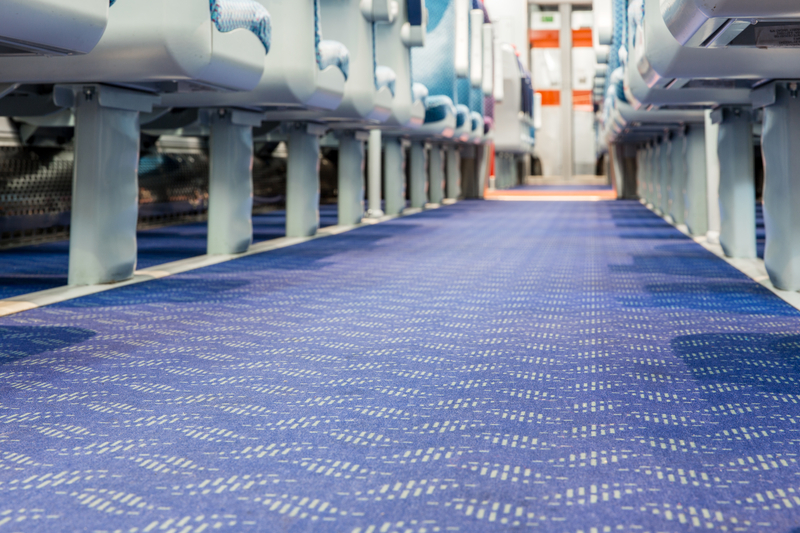 Within our Flotex product portfolio are standard Flotex, suitable for bus & coach vehicles and Flotex FR, which uses a special fire retardant backing in order to meet safety certifications for rail vehicles. Both versions open many design doors. We print Flotex using two methods, rotary and digital, which you can read more about in our manufacturing process blog post. With rotary printing, existing designs can be recoloured to suit your project requirements, but true flexibility lies within the digitally printed option. You can take ownership of flooring designs, working with our in-house design team to create something completely unique to your project. Using high standard printing technology, our team in Chateau Renault, France, can achieve high definition printing quality, giving our customers the possibility to create detailed designs with endless colour options. We recently completed a project with Translink NI Railways using a bespoke Flotex FR design, you can read more about it here. Here at Forbo Flooring, we believe in working together with our customers to achieve designs you’ll love. If you require specific brand colours and logos or if you want to create a completely unique design, our talented Flotex Design team can make it happen. You can contact us to find out more via email; transport@forbo.com.